The semiconductors have been exhibiting bullish behavior since the late October lows compared to the Nasdaq. Truth be told they are still lagging behind software, but the groups price action continues to improve each day. XLNX and CREE in my opinion are best of breed. Another good sign is how seemingly poor earnings reports are seeing positive price reactions, often a tell. 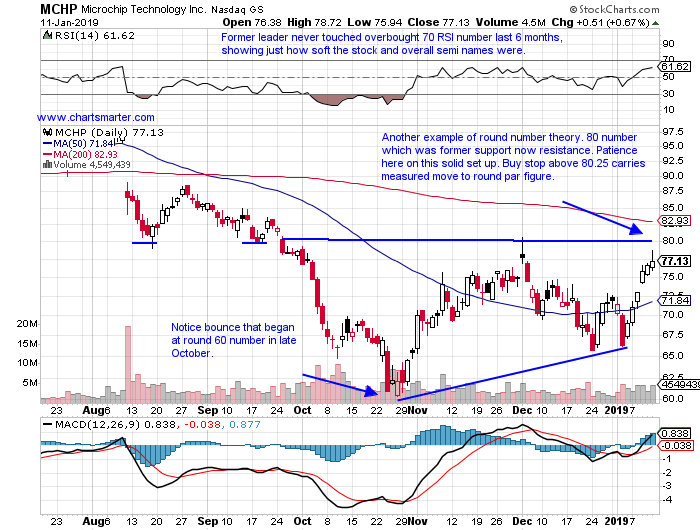 Below is the chart of MCHP and how it appeared in our Technology Report from 1/14. The round number theory came into play as it rid itself of resistance that was prior support at the 80 figure. 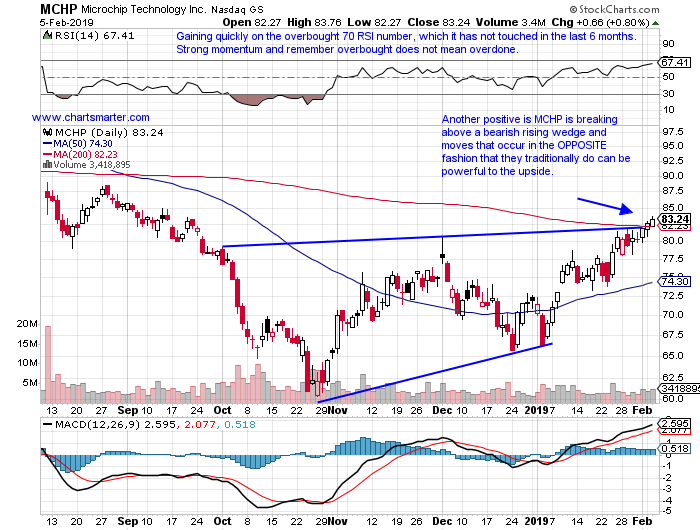 Taking a present view of the name we now see it has broken above not only the bullish ascending triangle, but has now also recaptured its 200 day SMA. Its measured move on the breakout is to the very round par figure, and for those who think that the 37.1% move off the October lows is too rich, it still trades 20% off most recent 52 week highs.